#Office365Challenge Ever sent an email and forgot to attach the document? Yup, we all have. Here’s a goody! We’ve all done it, sent an email without the attachment only to realise it afterwards. Painful. 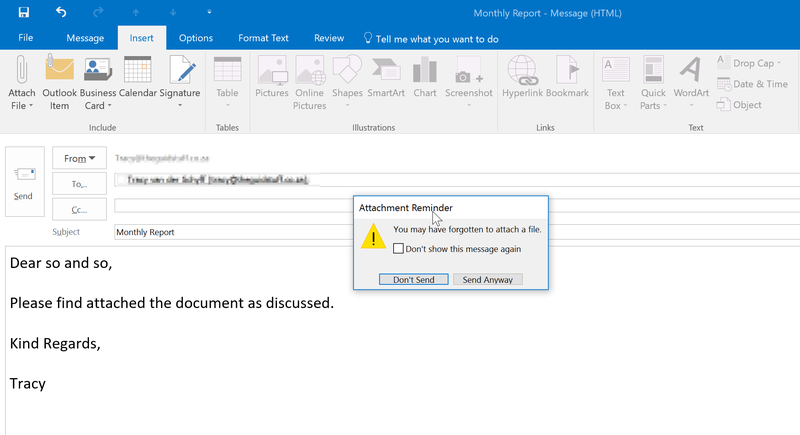 Thanks to Taylor Gibb for the post How to Enable or Disable The Forgotten Attachment Reminder in Outlook 2013 should you wish not to use it.